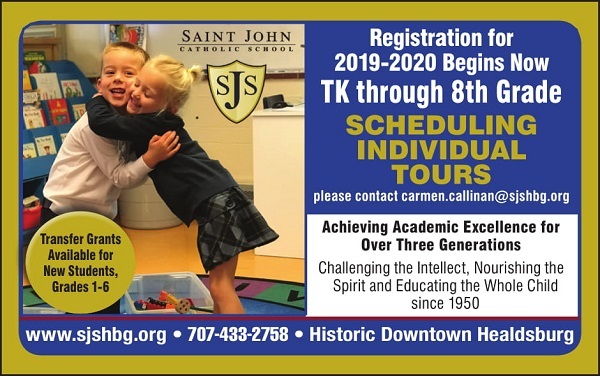 St. John the Baptist Catholic School has much to offer your child, whether you’re seeking a TK/Kindergarten, elementary, or middle school. One of the best ways to learn about St. John School is to come visit our campus and observe our students and faculty in action. We would be happy to provide you a personalized tour by appointment. Please call our Principal, James Brandt, in our school office today at 707-433-2758. Discover for yourself how we may be an excellent choice and best fit for your child!